Comment: I would like to get an estimate for researching pros, found one, fascia wood is rotting and needs to be replaced under the corner rain gutter, has one story house. Comment: Due to heavy storm the glass and windows beading are broken. Comment: my home has a hip roof. 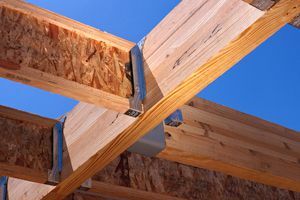 there is a section of the roof that is supported by a vertical beam( 2x4, maybe a 2x5) . The vertical beam is approx. 16 feet tall. It is original( 1985). It has a bow. I believe the beam cross section is not sized to handle the resulting side load due to the vertical load . I want that vertical beam replaced with a new and stronger bean that will handle the side load without bowing over time. Comment: Need quarter-round shoe molding installed (complete job including materials & painting) throughout a 3-bed, 1-1/2 bath, 1232 sq ft house. Comment: Glass broken on two different double pane windows. Need repair or replacement. Comment: Broke a small sliding single Paine hallway window the bottom half .. frame is 47 x 23ish BUT it's my upstairs condo so about 3 stories up...The complex is the Diamond Head Homeowner Association. San Antonio Carpenters are rated 4.73 out of 5 based on 1,953 reviews of 108 pros. Not Looking for Carpenters Contractors in San Antonio, TX?